It’s tricky to get the luminous colour, damp atmosphere and odd mossy shapes without straying into a sort of Hobbit-shire territory – all too easy to make it look picturesque without getting the feel of being there. The particularly lurid one started as a paint palette – there was a nice build up of impasto paint, so I played around with that. Being in Ariundle forest felt extremely lush and alive – the sense of a complicated ancient eco-system – Ariundle is the remnant of ancient oak wood that once stretched all the way along the Atlantic coast. Last week I went along to Highland River, an exhibition featuring the work of journalist and presenter Andrew Marr. 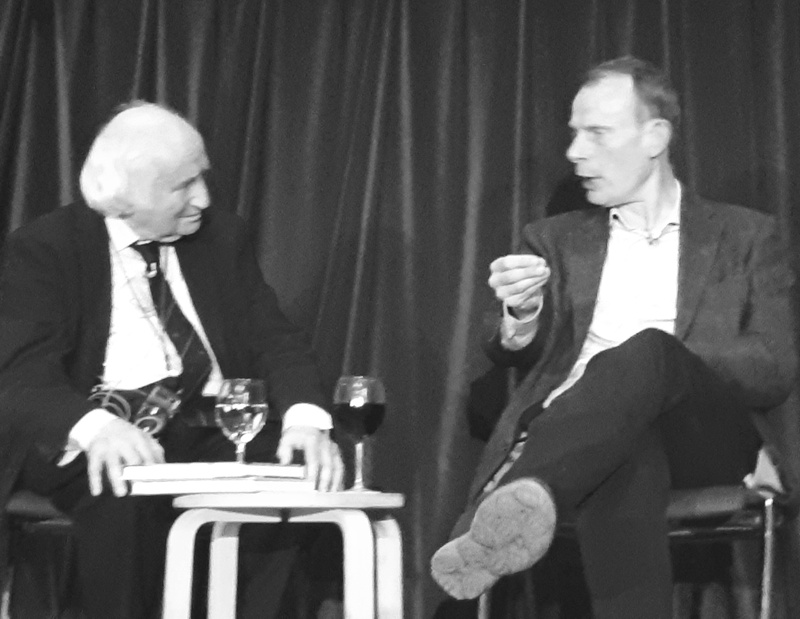 It was curated by Richard Demarco (co-curated by Fernanda Zei) at Summerhall in Edinburgh and included a really enjoyable conversation between Richard and Andrew Marr. They talked about the art of failing while painting. Judging by the empathic laughs from the audience there were plenty of artists there! As Marr described – you make a mark and realise it’s a mistake, so you remedy that and keep making marks until it feels right (‘then you ruin it’, I muttered to myself) ‘Then you ruin it’ Marr echoed. I bought his book on painting, much of which I agreed with (his views on Auerbach, Kurt Schwitters and others) some aspects not – for example his take on Beuys, it’s all subjective of course – but I thought Beuys had an incredible talent with deceptively simple, expressive line and colour. It’s a challenging book in some ways since he’s engaged with working with paint to explore complex ideas. Though not a conceptual artist, his approach is intellectual. Occasionally I attempt a deeper or more conceptual approach to painting and the results are often a complete mess. 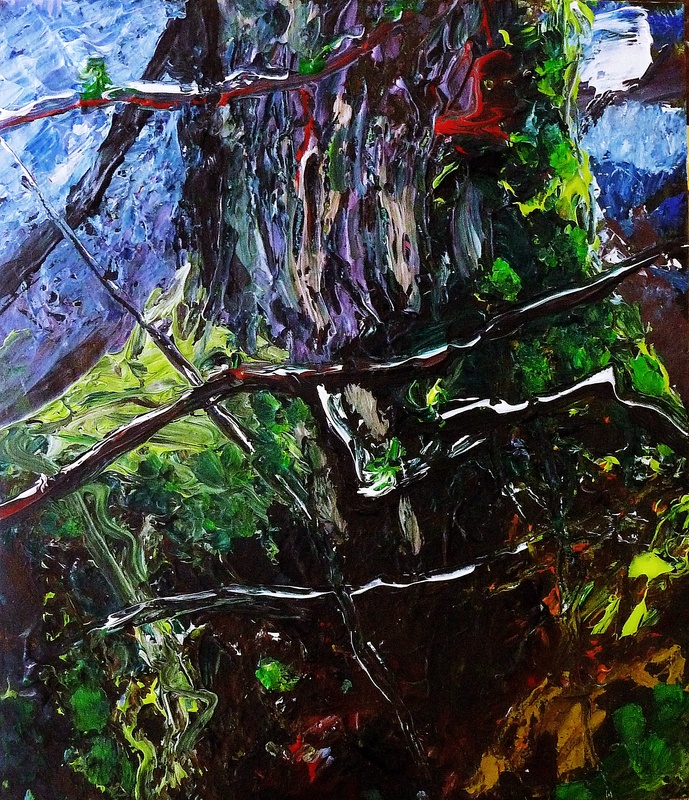 It is less challenging to simply attempt to capture the texture of tree bark in simple paint strokes or lines, but I find that valid in my world. Every so often something clicks into place and stronger ideas emerge. Enough waffle though, this week I’ll write more on the Medieval planets theme – early spring; represented by Mars. 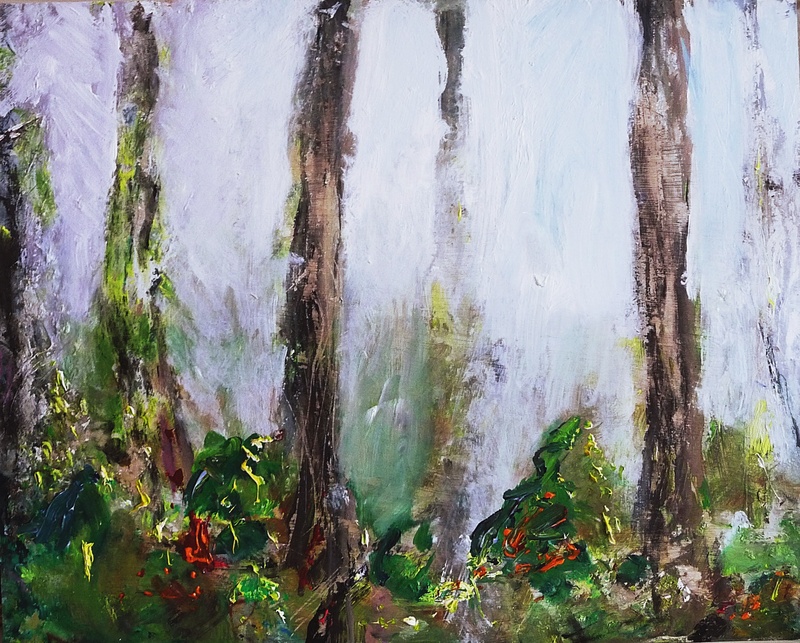 This entry was posted in Uncategorized and tagged Ariundle forest paintings, tree paintings on April 8, 2019 by rosestrang.